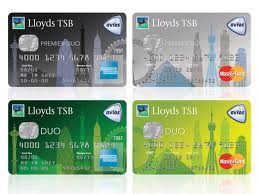 Lloyds TSB Premier Duo Avios card – 730,000 Avios! If you were following the tale of my Lloyds TSB Avios credit card I am pleased to say that the Avios from Statement 3 have just posted – 730,000!! This is, to put it mildly, not a bad result. This is partly from our 10 days at Sandy Lane, partly from pre-paying our next holiday and partly by cheekily booking a few refundable flights which I will cancel later when it is time to pay my next tax bill on my credit card. I even managed to spend the equivalent of £2,000 by booking some flights for a family member, who will reimburse me. I still have, I think, 12 days or so of 10x bonus miles to go, although they work on the day the transaction hits your account, so in reality I have a week to squeeze in some more spend. It is not even clear when the ‘initial three months’ period expires, but the combined brains of Flyertalk readers have decided it is the anniversary of the date they charge the £50 card fee to your account. Such a shame this promotion is no longer available – and I’d be shocked if they brought it back.